My month went really well. School has been bearable not counting maths and science but we won't go there, and I've been reading the Bible and writing every day :) I am SO happy about that! Some nights I just couldn't face writing, but I made myself do it and I already feel like it's improving. As for my sugar-free diet......it's going okay, I guess. Although my Dad bought a box of instant Honey and Nut Latte the other day, and since I'm the only one who likes it and coffee is my ultimate weakness......Thanks, Dad. Nothing like a box of sugary, amazing coffee to motivate a diet. 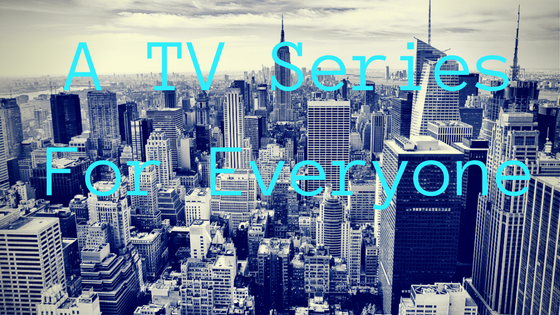 A TV series for everyone! 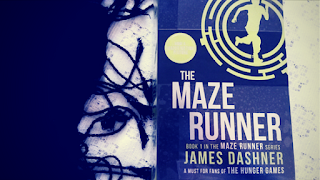 My favourite book of the month was either Unhinged or The Luxe, and my least favourite was The Maze Runner. In other news, I created my own blog meme! If you'd like to join in, simply borrow the graphic and provide the link back to my blog. Thanks! 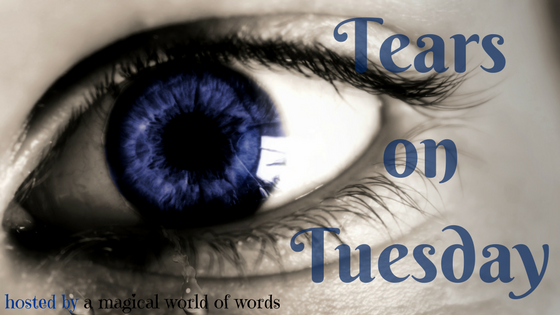 Tears on Tuesday is a meme hosted by A Magical World of Words that encourages you to share moments from books and movies that have made you cry - either in sadness or joy. *coughs loudly* This is a VERY ambitious TBR; I doubt I'll get to all of them in Feb. I got most of the books from the library - except for Missing Books, which I received for review, and Darkthaw, Six of Crows and Flawed that I bought myself. How has your January been? What have you read or watched or done? Got any plans for February? On the 31st of January it will have been 6 months since I started A Magical World Of Words. It seriously does not seem like months, it seems like days....... I'm still so much of a newbie, but I have learnt a lot since I started my blog, and I'm so grateful for everything and everyone who has contributed to my blog's "survival" over the last six months. 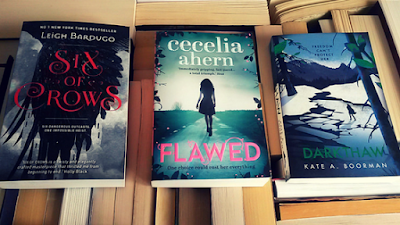 Di @ Book Reviews by Di - Di was my first proper blog follower :) Since then, I have loved every minute of our chats and discussions, and she has been amazing when it comes to helping me with tricky issues like HTML and coding and blog design. She's always so willing to give advice or share tips, and her blog is seriously awesome and professional so go check it out!. Audrey @ Audrey Caylin - Audrey's also a writer, and I love reading her posts and chatting to her about writing! She always leaves such thoughtful comments on my blog, and it's great to talk to someone who loves writing as much as I do. Maria @ A Night's Dream of Books - Maria is an awesome online friend to have!! Her comments are so thoughtful and positive, and she's a passionate fangirl and feminist like me, so it's always a joy to talk to her! Some more shout-outs because I can't resist: Book Lover, Alyssa, Brittany, Luna & Saturn, and Prabhleen. And thank you most importantly to Jesus Christ, for allowing me this chance. Fighting with HTML can seriously kill your blogging spirit. I've wrestled with it constantly and stressed over it and sweated over it and IT. IS. A. PAIN. Adding to CSS is much easier, but coding in general is still a huge annoyance. It takes huge amounts of time, and there's literally your whole blog design at stake sometimes. Also, there's your blog layout. I doubt I'll ever be completely happy with mine, but it takes a lot of time to redesign, so often you just have to relax and try be satisfied. And that's hard too. You start a book blog. You talk to people about books. That's basically it. Well, that's what I thought when I first started this blog. And I'm so glad it didn't turn out like that. My favourite part of blogging is talking to the amazing people I've met online. Chatting, commenting, interacting...it's just amazing. 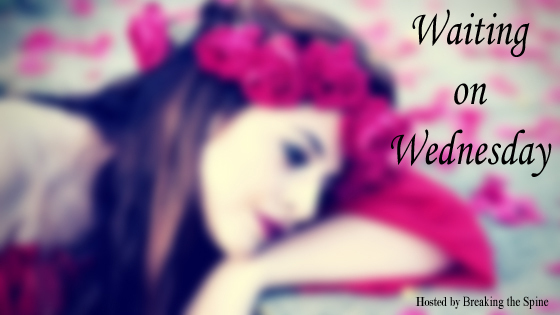 The blogging community is incredible, and I feel so honoured to be a part of it. I thought I was organised before I started blogging, but it turns out that kind of organised is nothing like blogging organised. I now use my diary OCD-like, and literally never stress about posts because I always know what's coming and what day I'll post them, and it makes a world of difference. I love every minute, don't get me wrong, but it can be very time-consuming and overwhelming. When I started my blog, I had to give up something so I had time for blogging. I ended up cutting back drastically on making YouTube fandom videos, which I was doing regularly. I wish I could do it as often as I used to, but there's no time. And when push comes to shove, I'd definitely choose blogging. But it does mean I have to be serious about committing to it. I'd love your feedback! Are there any blogging things you think I should know? Anything you think I should improve on? Let me know! Again, thank you. Here's to many more months and years of blogging fun and friendship!! Hi everyone! I am so excited to share with you information about this awesome looking book, and an e-book giveaway! I haven't read it yet - *sigh*....sometimes my "no e-book" policy gets annoying.... - but doesn't it sound amazing? It looks so unique and sweet and quirky. Becca Thornton is clueless when it comes to love. Why else would she break up with Will Gamen, a boy at the top of the hottie short list for every other girl? Because, if she’s being totally honest, Becca will admit the truth. Her heart belongs to someone else. For as long as she can remember, Travis Brennen has been unavailable. When Travis unexpectedly rolls back into town, Becca realizes for the first time that her feelings for him might be mutual. But Travis and Becca come from what he calls “different circumstances.” Becca’s parents are world-famous scientists and Travis’s dad is the caretaker on the Thornton family’s estate. Still, Becca can’t change the way she feels about him, no matter how hard her parents try to keep them apart. She’ll just need to find a way to prove to her parents that Travis isn’t the guy they’ve always assumed him to be. Becca’s earned the right to grow up, make her own choices, and fall in love, even if she ends up with a broken heart. 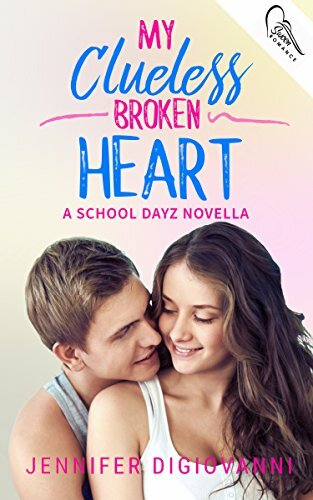 Win an eBook copy of My Clueless Broken Heart! Waiting on Wednesday is a weekly meme hosted by Breaking the Spine that highlights upcoming book releases we're eagerly anticipating. 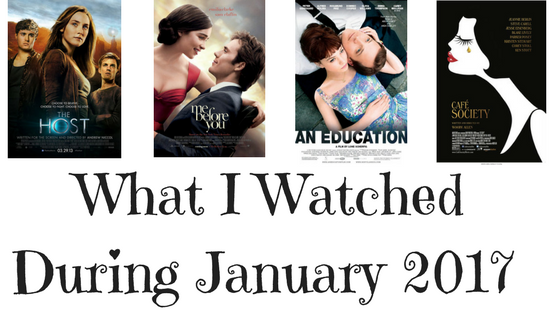 And on my blog, I include movies as well. Release Date: 10 March 2017. Anyone else excited for Tom Hiddleston Kong: Skull Island?! Cast: Steve Carell / Kristen Stewart / Jesse Eisenberg / Blake Lively / Sheryl Lee / Ken Stott / Anna Camp. Content Rating: PG 13 for some violence and suggestive material. I have a confession to make: Before this film, I had never watched a Woody Allen film before. To be honest, I don't even know that much about him and his film history. But I plan to remedy that, and thus this film served as a solid introduction to his film making. From the very start of the movie we're swept away into the historical wealth of an era that largely reflects The Great Gatsby. Or that's what I thought, anyway. (This film is set in the 1930s, so I'm not too far off...). It's basically a parody of the era, though, and that became more apparent as the film went on. Cafe Society danced on a fine line between between comedy and tragedy, but never reached the full potential of either. 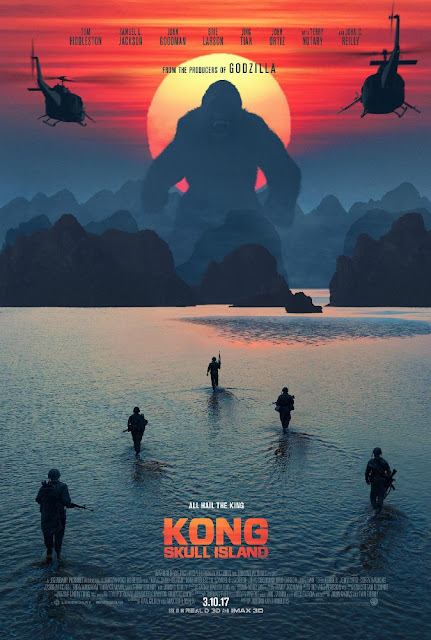 The humour was delightful, and the tragic undercurrents could have been very powerful, but the movie wavered between both themes and never fully addressed either. It wasn't as funny as it could have been, and the painful plot of Kirsten Stewart's character wasted its potential. Visually, it was gorgeous. That's what I loved most about the movie. Every scene was stunning, tangible, and meticulously crafted so that the makeup of the actors, the costumes they were wearing, and the lightning and scene settings all contributed to create the perfect atmosphere. Everything was perfectly in sync; from the makeup, to the lighting, to the set pieces. It was ravishing and rich and smooth. The dialogue was witty and effortlessly sharp, but it left no time for the viewer to breathe (irony intended). It became exhausting, and bordered dangerously on becoming too witty and sharp; and thus unrealistic. The cinematography was perfectly atmospheric, and the large cast of characters were all fully rounded and three dimensional. Unfortunately, the movie lost itself somewhere along the way. It suffered a heavy dose of middle-movie syndrome. The cast was, in general, excellent. Jesse Eisenberg was solid and so were the supporting cast, but while Steve Carell's comic timing was brilliant, I felt like he was miscast. His character belonged in another era, and while he felt like a parody of the stereotype the writers had avoided, it just didn't work. (Carell portrayed the rich and indecisive lover who had left his wife for a younger girl). 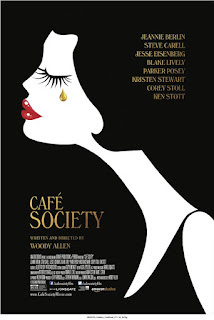 Cafe Society is known for Stewart's performance. At one stage, it was even suggested that she might win an Oscar for her performance. Quite honestly, I didn't see it. She was good and decent, but definitely not brilliant, and her "Twilight mannerisms" still remain. However, I did think she lit up the screen whenever she was present; not for her acting, but because she felt like a breath of fresh air. I had one huge problem with this film: The ending was a cop-out. It ended without resolution, and came across like the writers had thought "wait, is this a tragedy or a comedy and what's the theme we're trying to put across? Oh well, let's end the film now because we can't decide..."
Cafe Society was a lavish spectacle that shined with a stellar cast and provided an elegant and relaxing escape for viewers, but the story completely wasted its potential. P.S. My favourite character was definitely Sari Lennick's character, Evelyn, who was the wife of that peacemaking husband who always preferred to reason, rather than use violence ;) She was such a strong, hilarious character, and an absolute delight to watch. Quick question: What do you think of Disqus? I'm interested to hear your opinions, and whether you prefer to comment via Disqus instead of the default Blogger system? I started school again this week. Actually, it went really well, although, *sighs*, science and maths are still awful. I hate doing those. My sugar free diet is also going well; I only had a tiny bit of chocolate mousse and a nutella milkshake this week (the milkshake was nutella, how could I refuse?) And I actually felt sick after having the mousse, so that's a good sign. 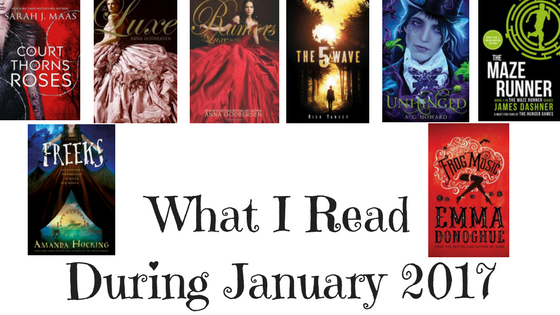 I won't be starting any new books this week because I've got a lot of blog posts to do and, obviously, school. 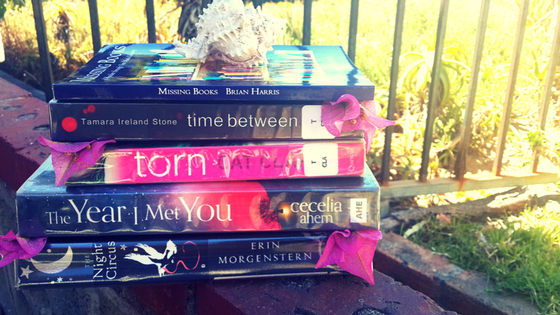 But I can't wait for February so I can start the haul I got from the library! My review of Frog Music will be up this week. My review of Cafe Society (film) will also be up this week. Exciting news! My 6 month blogoversary is coming up, and so I'll have a post up for that later this week (or beginning of next week). I can't believe it's been 6 months! How's your week been? What have you read or done or watched? Watching a TV series is one of the things I love to do. Whether the series gets your heart racing, or your palms sweating, or your tears falling, or simply lets you forget the pressures of life, there's something wonderful about sitting down to relax (or not relax) and enjoying the story playing out on the screen in front of you. There are a huge number of TV shows these days - a crazy number, actually, that I can never hope to get to! But here's a list of some of the ones I've really enjoyed :) I've purposefully chosen a large variety. Robin Hood is addictive watching. The acting isn't amazing, nor are the effects, and there's plenty of cheese and *cringe* moments, but it's fun and very entertaining and the characters are wonderfully colourful. It's also utterly action-packed and romantic. Arrow has had its ups and downs, but I've really enjoyed what I've seen of it. It's jam-packed with action and romance, and hosts a rich, three-dimensional cast of characters. The acting's decent, too. Parks and Recreation is delightful! It's from the same producers of The Office, but it's a lot more lighthearted, easy-to-watch, and doesn't have the strong emotional core of The Office, making it a lot more relaxing. Amy Poehler leads the brilliant cast. The Office is probably my favourite comedy series. Steve Carell leads the stellar cast through what is an absolutely hilarious, heartfelt, tragic, romantic, and witty journey spanning nine seasons. The characters are excellent, so is the whole production, and The Office will make your cry from sadness as well as laughter. (I've never watched the British series of the same name, but some of my friends have and apparently this American series is a lot more funny and lighthearted). Sherlock is so, so good. Benedict Cumberbatch and Martin Freeman are absolutely brilliant, not to mention the tightness and intelligence of the plots, the excellent cinematography, and the well-developed characters. It's a gripping and effortlessly classy series. Broadchurch is spectacular. It revolves around the incident of a young boy's murder, and dives deep into the different aspects of the case: the police, the townspeople, the family, the friends, and the press. 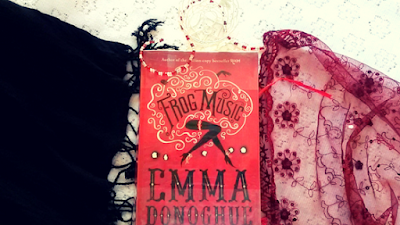 Gorgeous setting, rich, rounded characters, and a story that will keep you guessing right to the end. It's excellent. Cranford shines with all star cast as they bring Elizabeth Gaskell's classic novel to life. It's a brilliant series; very funny, very sweet, and very romantic and entertaining. English life in a quaint country town has never been more heart-warming or fascinating. It's pure class and pure fun. Downton Abbey is a brilliant example of a historical drama, sprinkled with romance and action. What TV series do you like to watch? Do you enjoy any of the shows above? Waiting on Wednesday is a weekly meme hosted by Breaking the Spine that highlights upcoming releases we're excited to read. On my blog, I include movies as well as books. Release Date: 7 February 2017. Beware the goblin men and the wares they sell. All her life, nineteen-year-old Liesl has heard tales of the beautiful, mysterious Goblin King. He is the Lord of Mischief, the Ruler Underground, and the muse around which her music is composed. Yet, as Liesl helps shoulder the burden of running her family’s inn, her dreams of composition and childish fancies about the Goblin King must be set aside in favor of more practical concerns. But when her sister Käthe is taken by the goblins, Liesl journeys to their realm to rescue her sister and return her to the world above. The Goblin King agrees to let Käthe go—for a price. The life of a maiden must be given to the land, in accordance with the old laws. A life for a life, he says. Without sacrifice, nothing good can grow. Without death, there can be no rebirth. In exchange for her sister’s freedom, Liesl offers her hand in marriage to the Goblin King. He accepts. Down in the Underground, Liesl discovers that the Goblin King still inspires her—musically, physically, emotionally. Yet even as her talent blossoms, Liesl’s life is slowly fading away, the price she paid for becoming the Goblin King’s bride. As the two of them grow closer, they must learn just what it is they are each willing to sacrifice: her life, her music, or the end of the world. I want to get lost in this magical new world and I want to fall in love with it. 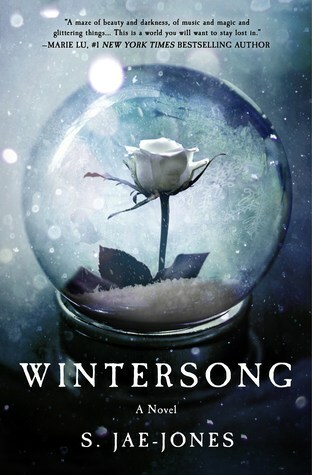 Anyone else excited for Wintersong?! P.S. If not, WHY WHY? Year Published: 2016 - by St. Martin's Griffin. Source: Thank you to St. Martin's Press for sending me this book in exchange for an honest review! 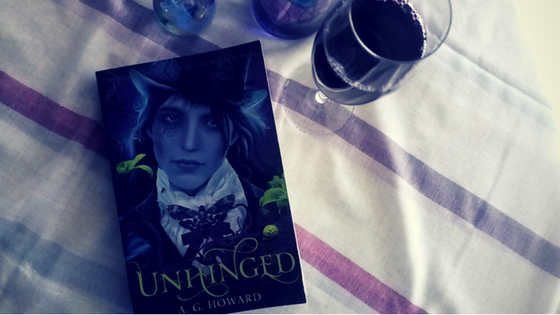 In a world of magical visions and pyrokinesis, Mara just wants to have a normal life. But is that possible? Mara has become used to the extraordinary. Roaming from place to place with Gideon Davorin’s Traveling Carnival, she longs for an ordinary life where no one has the ability to levitate or predict the future. She gets her chance when the struggling sideshow sets up camp in the small town of Caudry and she meets a gorgeous local guy named Gabe. But before long, Mara realizes there’s a dark presence lurking in the town that’s threatening the lives of her friends. She has seven days to take control of a power she didn’t know she had in order to save everyone she cares about—and change the future forever. When you pick up an Amanda Hocking book, you know you're in for action, romance, and an utterly fun ride. The atmosphere was fantastic! 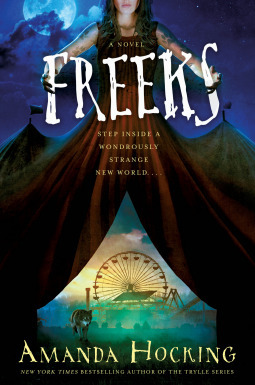 Dark, creepy, and deliciously hypnotic, the world of Freeks captivated me. The mystery aspect of the story kept me guessing right up to about the last quarter of the book, when Gabe's secret became very obvious. 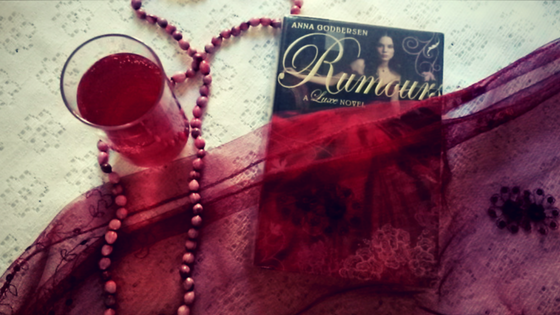 It was constantly gripping and I found it almost impossible to put the book down. I just had to keep reading; it wasn't boring at all. It was exciting, easy-to-read, frightening, and beautifully creepy. The characters were brilliantly diverse, and such a refresher from the "all white" casts we so often read about in YA. Mara's world had characters from all different backgrounds and cultures and it was such a delight to read about them. I particularly like the character of Roxy; she was my favourite character. She was probably the most three-dimensional character in the book, and she lit up every scene she was in. The only thing I didn't like about her was that she was obviously the kind of girl who slept around a lot and had been through a ton of boys. That wasn't cool, and I couldn't respect her for that. - The dialogue wasn't great, and when the characters talked they didn't sound all that different from one another; with perhaps the exception of Roxy. - Hocking's writing is rather clumsy. She has an amazing way of carrying you into her story, but her actual writing isn't mind-blowing. - Personally, I didn't like all the dark occult stuff and spell casting. As a Christian, that just didn't sit well with me, and so I didn't like it. - The ending was very rushed. Mara was awesome and the action was good, but it was over too quickly. Freeks was a deliciously atmospheric, hypnotic YA fantasy packed with diverse characters and rippling with dark, forbidden undercurrents. The dialogue and romance weren't great, but it was still an exciting read. If you like fun, gripping stories and refreshingly diverse characters, Freeks is for you. Will my HTTPS link change automatically over time so that every link to my blog will automatically be without the HTTPS in front of the URL? Does that make sense?! Can anyone advise with this? Also, please tell me if you can see the gadget as it is now? How's your week been? What have you been up to?